A few years ago, my sister-in-law and I took a class on making lotions and other personal care items that focused on using natural products and essential oils. From that class, we learned a great deal about essential oils and their benefits. 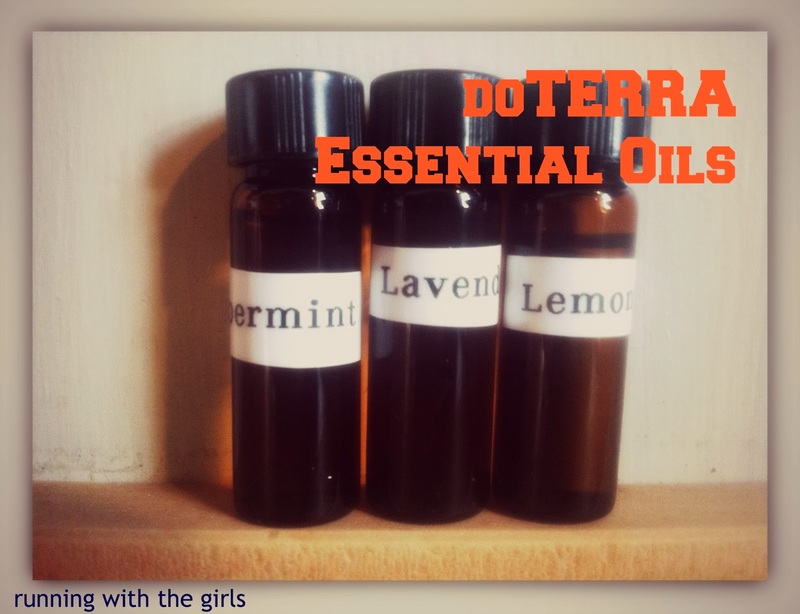 Since that time, I've really taken an interest in essential oils and how I can use them in everyday life - in terms of lotions, ailments, or cleaning. 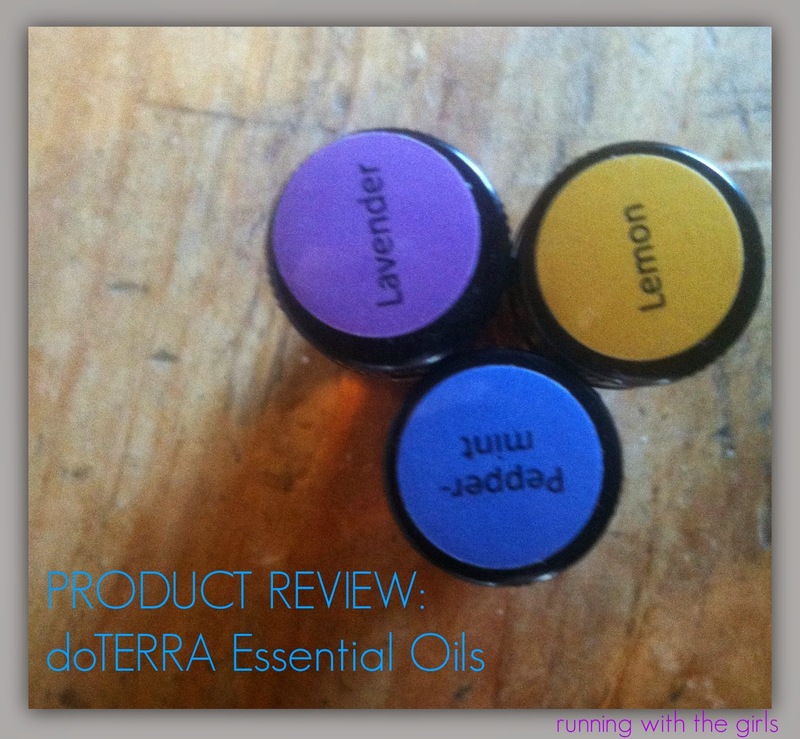 That's why I was pleased to get the opportunity to review doTERRA essential oils. These three essential oils are my all time favorites. Oh how I love lavender. I have several lavender plants in my garden. Just a few days ago, I happened to be out in my garden and had to bend over and rub my hands on the plants and take in a huge whiff. I know. It's the dead of winter. In Maine. But we didn't have any snow a few days ago (now we nearly have a foot out there) but those plants still give off an incredible fragrance no matter what time a year it is. If I knew how to create my own lavender essential oil, I would. But instead, I'll continue to get my essential oils through a reputable source - doTERRA. Lavender has so many uses - for just about anyone. And using lavender is so simple! I especially love it as an air freshener and I could walk around all day long with a spray bottle spritzing lavender into the air. It has such a calming effect. Honestly, I used to spray it in my classroom a few year back. I had this super difficult class and I would do a few spritzes of lavender just before the bell would ring and it really made an impact on their behaviors. There are times when I would just spray myself too. It helps! If you have sore muscles after that long run, knot in your calf, tweaked something on the ice? You can massage lavender oil on you. All you do is add 5 drops of lavender oil to 10 mL of a carrier oil (like canola, coconut, or vegetable oil) and then rub on your sore spot. Lavender absorbs into your skin quickly! Not only will your muscles be happy - you'll smell fantastic! Also, another cool thing I learned about lavender oil is when you have a cold. Add 4-6 drops of lavender oils to a bowl of really hot water. Then place a towel over your head, hold your face down to the water and breathe in the vapors for a few minutes. Remember to keep your eyes closed! It definitely helps you breathe easier. Another fantastic and light scent. To me, lemon signifies fresh and clean. I imagine a nice warm day sipping on a freshly squeezed lemonade. Oh how I cannot wait for summer. Not only is the lemon scent pleasant, it has incredible uses. As a mom, I try to make decisions for my family based on using using less chemicals. I was so pleased to learn a great and easy trick in that class in creating an all purpose cleaner. I add lemon essential oil to bottle with 50% water and 50% vinegar. Now I have a great smelling, super cleaner. It works so great and is very inexpensive. When I think of peppermint, I of warmth and healing. Peppermint has so many great uses. As you can see, these three essential oils are quite versatile and work for many overlapping issues or concerns. Have you used essential oils before? What are your favorites? Love doTerra oils, this reminds me I need to order some more! I love these oils actually - honestly any of the essential oils. My mom is a big believer in them and has put together tinctures for years now. When I was having problems with plantar fasciitis a fellow blogger/friend also struggling had told me about a combo of these oils that was supposed to help. I tried it and if nothing else, it really relaxed my feet and muscles. My mom went on to make a thicker balm using some of the same oils for me. Long story short (too late right) awesome! I have used lavender and peppermint for my migraines before. They work so well! I really like the RUN//ST in black and purple! I also like the MT's in black. Hard to decide.